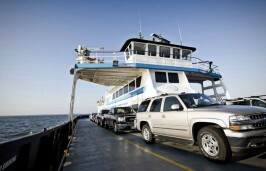 RALEIGH – The Hatteras-class ferries M/V Kinnakeet and the M/V Chicamacomico will be replaced in 2020 by two new, river-class vehicle ferries, the North Carolina Department of Transportation’s Ferry Division announced Monday. 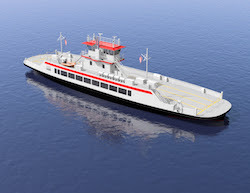 The Ferry Division has awarded a contract to the Gulf Island Shipyards of Houma, Louisiana, for the construction of the two ferries that will cost a total of $22.85 million. The vessels will be paid for with money from the Ferry Division’s Vessel Replacement Fund. 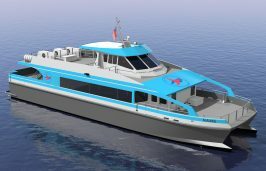 The two new ferries, tentatively named the M/V Avon and the M/V Salvo, will carry 40 vehicles each and are scheduled to be delivered in 2020, when the M/V Kinnakeet and the M/V Chicamacomico will be replaced.